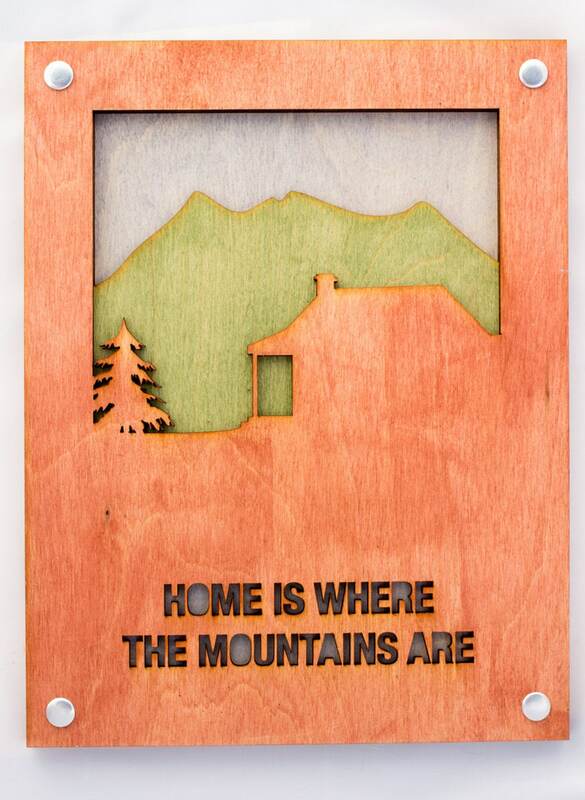 Cabin decor that reflects the vibrant color of the nature. 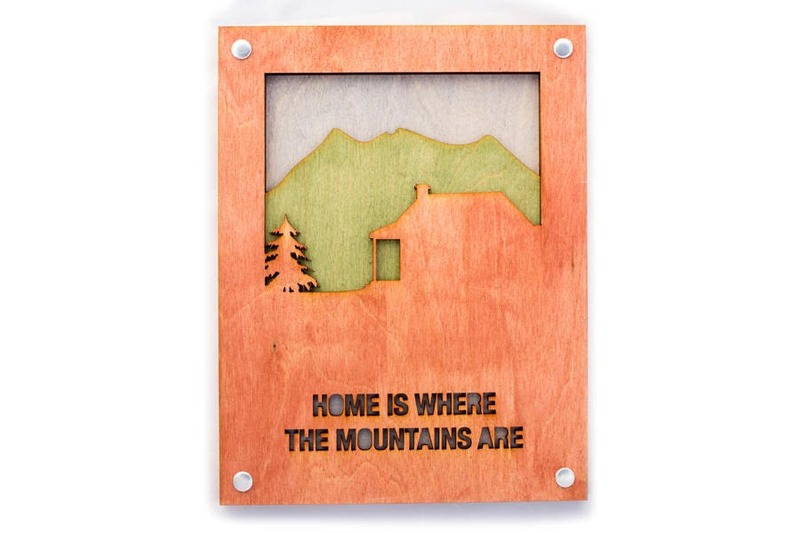 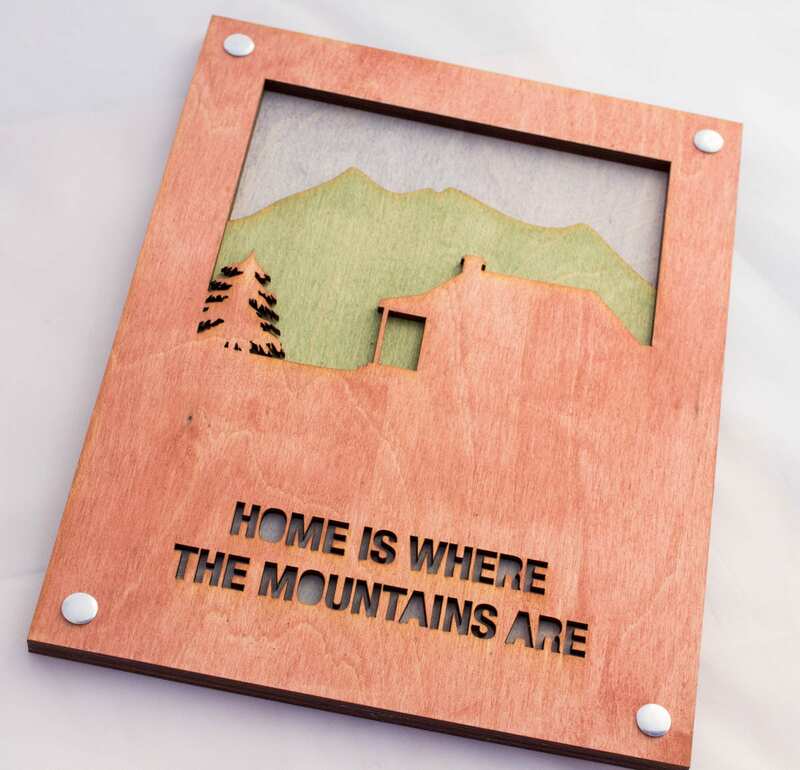 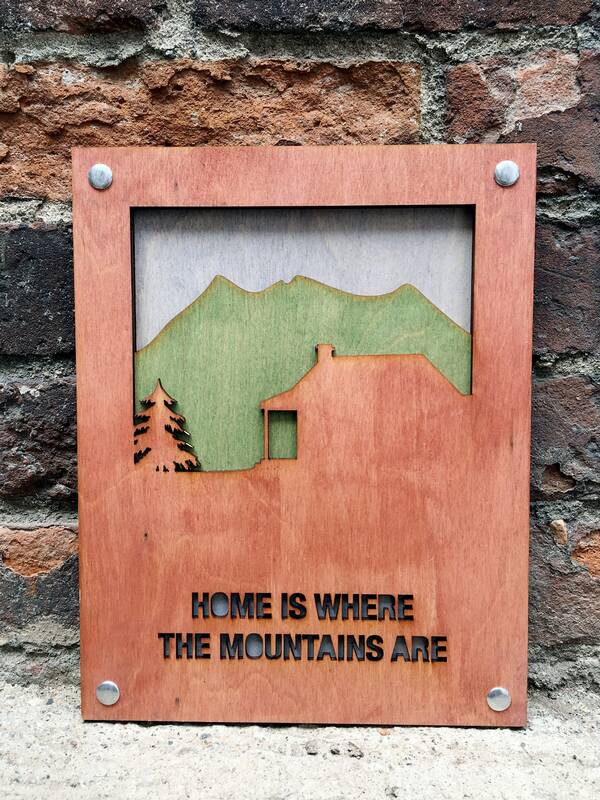 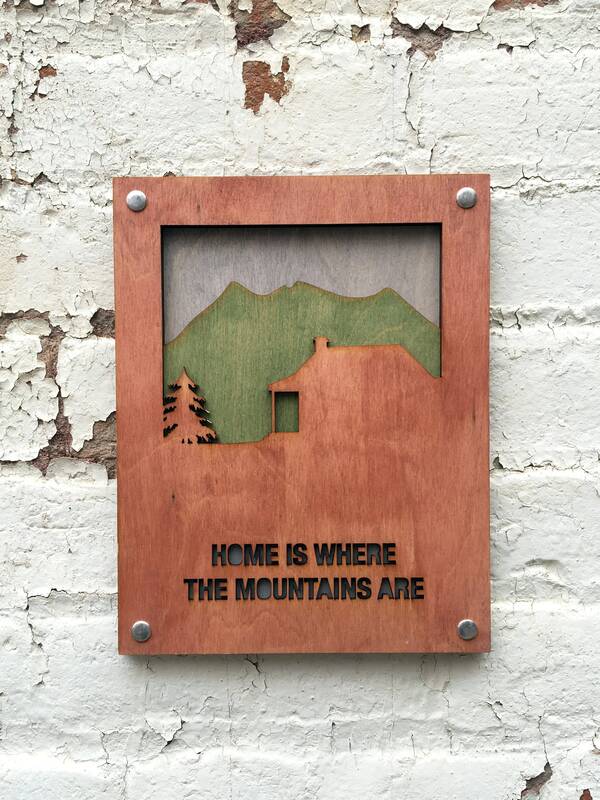 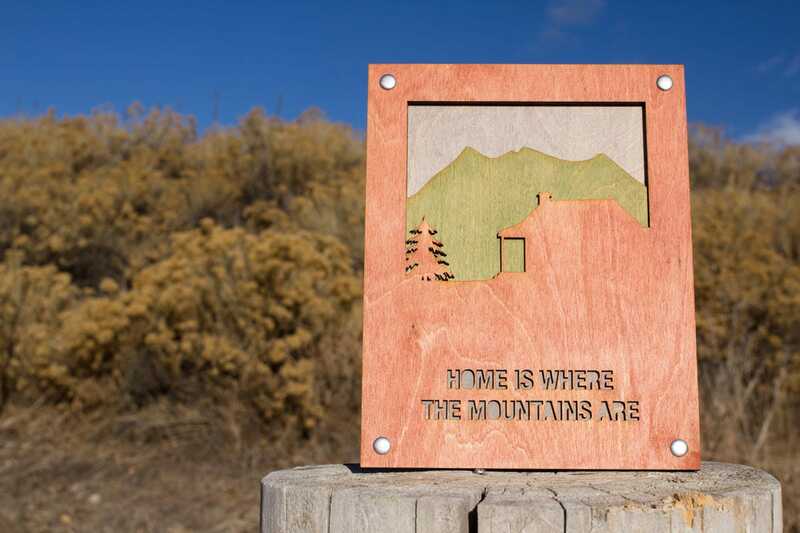 Perfect for welcoming friends to your mountain home, or as a gift to remember your wonderful travels while surrounded by the pines. 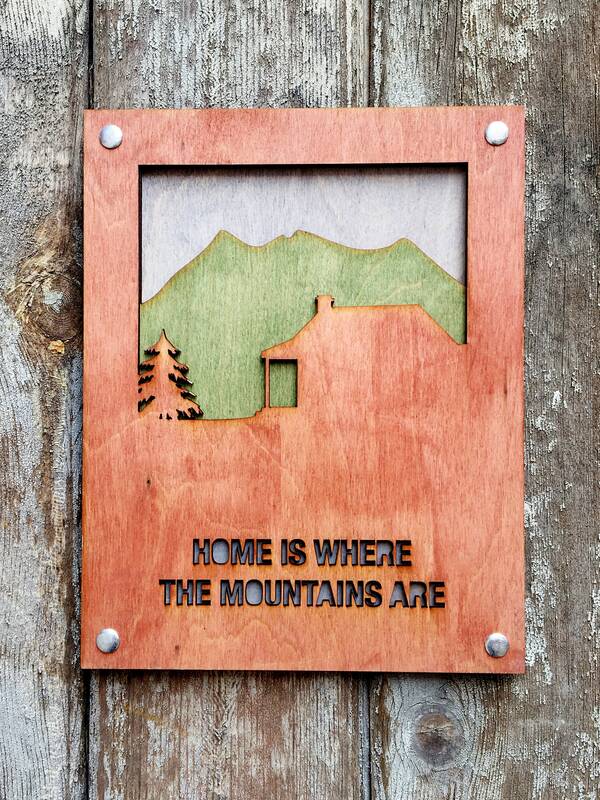 Cabin in woods with trees and mountains behind.